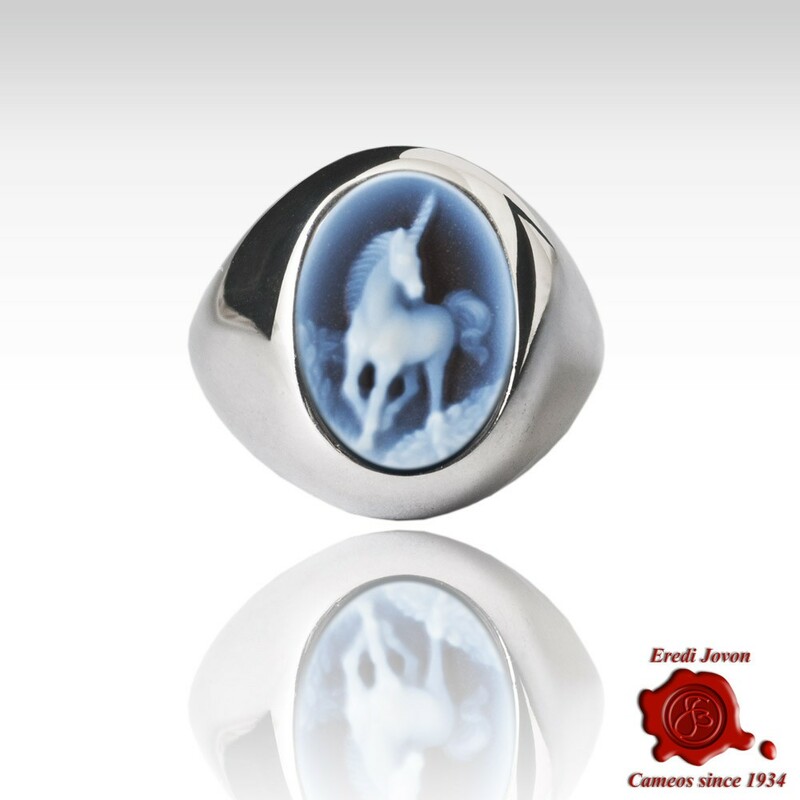 Unicorn Wide band 925% silver ring - with a blue agate cameo. It portrays a unicorn, a mythological animal endowed with magical powers, symbol of wisdom that has been the protagonist in the coat-of-arms of many noble families between Middle Ages and Renaissance in Italy. Size: 14 mm cameo, various sizes avaible!